The stylish Panasonic ELUGA originally launched in Japan, but has now touched down in Germany. 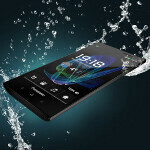 The next stop for the waterproof and dustproof smartphone is the U.K., where it will be available on April 24th. In Germany the device was priced in a range of €370-€400 ($484-$523 USD). In the U.K., €365 should allow you to take it home. The waterproofing allows the device to sit in up to 3 feet of water for 30 minutes with no problems afterwards. Besides being waterproof and dustproof, the Panasonic ELUGA has a unique name which guarantees that it comes right to the top on any Google search. Smart move, Panasonic. The title actually stands for "elegant user-oriented gateway." Everything about the unit is supposed to show elegance and grace. But what about the model's specs? Let's take a look. The Panasonic ELUGA is equipped with a 4.3 inch AMOLED qHD display with pixel density of 256 ppi. A dual-core 1GHz TI OMAP 4430 processor is driving the device which has 1GB of RAM and 8GB of native storage on board. When you purchase this model, you had best be sure that the latter is enough memory for you because there is no microSD port on the phone. On the back of the handset is an 8MP camera that also captures video. Android 2.3.5 is installed although an update to Ice Cream Sandwich is expected this summer. The Panasonic ELUGA also carries support for NFC. The 1150mAh battery seems wimpy and Panasonic says it is good for 12 days of standby and 4 hours of talk time. Those interested in the Panasonic ELUGA but need more in the way of specs, might want to wait for its higher-end brother. 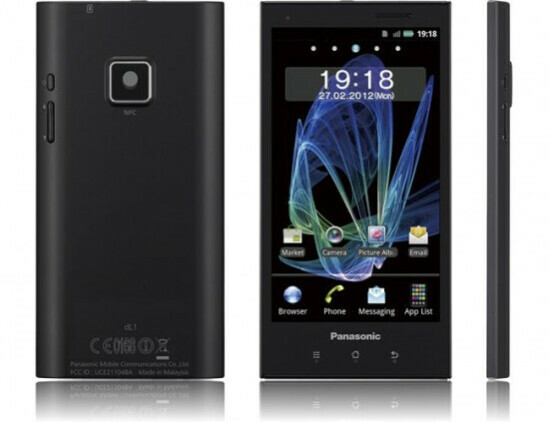 The Panasonic ELUGA power is expected to offer a 5 inch 720p display, launch with Android 4.0 installed and have the power of being driven by a dual-core 1.5GHz Qualcomm S4 processor. This unit will also feature a microSD slot while still offering protection from water and dust. Pre-orders are being taken by overseas retailers like Clove in the U.K., but keep in mind that this is considered a premium device and is priced as such. That means turning over 478.8 GBP, which is approximately $764 USD, for the phone. This model will be launched sometime later this month so you don't have too long to wait. Back at MWC 2012, we were able to get our hands on both the Panasonic ELUGA and the Panasonic ELUGA power. Don't forget to check them out! Looks good. Would this ever come to the states? What a great design Android phone. Samsung should copy that instead of iPhone. Why Apple always relied on Samsung for their processors and displays? Apple can't innovate sh*t.
The design of the ELUGA is worse than the iPhone's design. Why doesn't this phone have a LED flash on it. Weird Japanese.